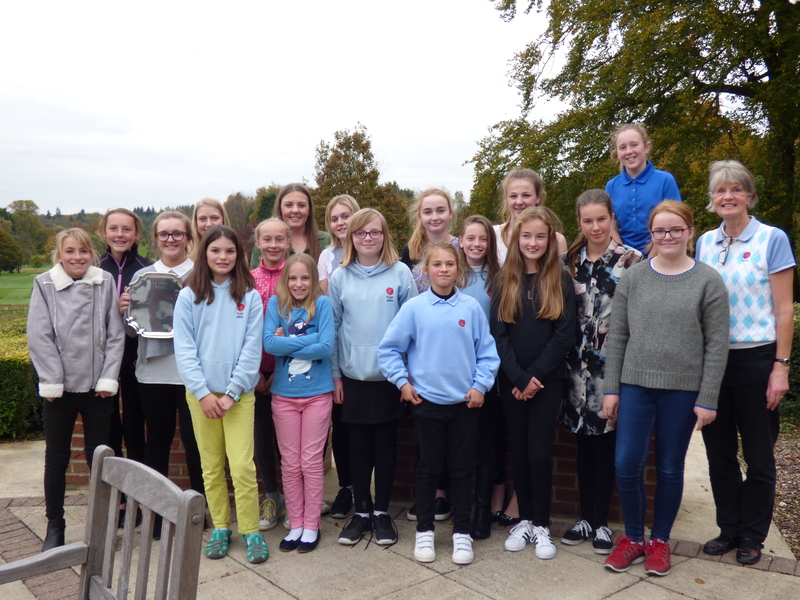 19 girls arrived at a very foggy Basingstoke Golf Club for this year’s Junior Girls Autumn Meeting. Eventually the fog did lift and the girls were able to get out on the course only a little behind schedule. The course was in good condition and as a result there were some excellent scores. 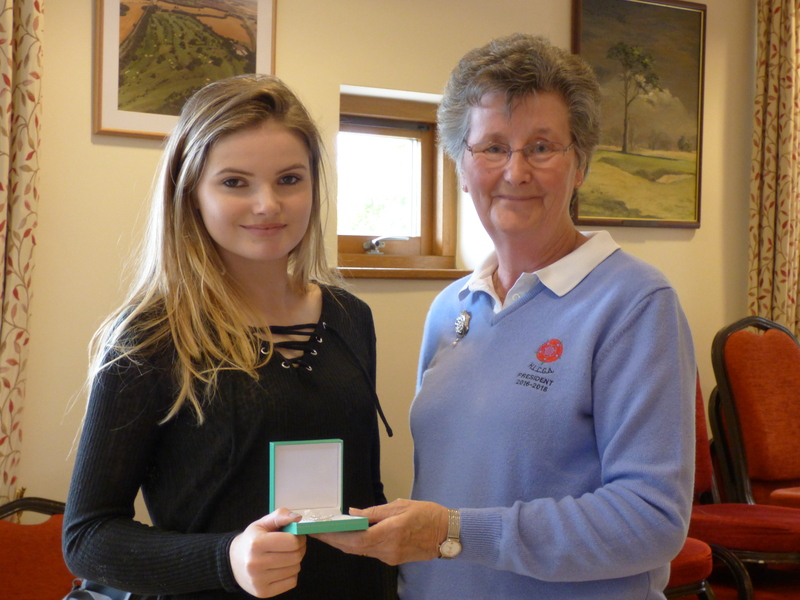 Flora Keites from Royal Jersey was the competition’s scratch winner, while Gemma Burgess from Bishopswood won the best nett prize with a fabulous score of 44 points. 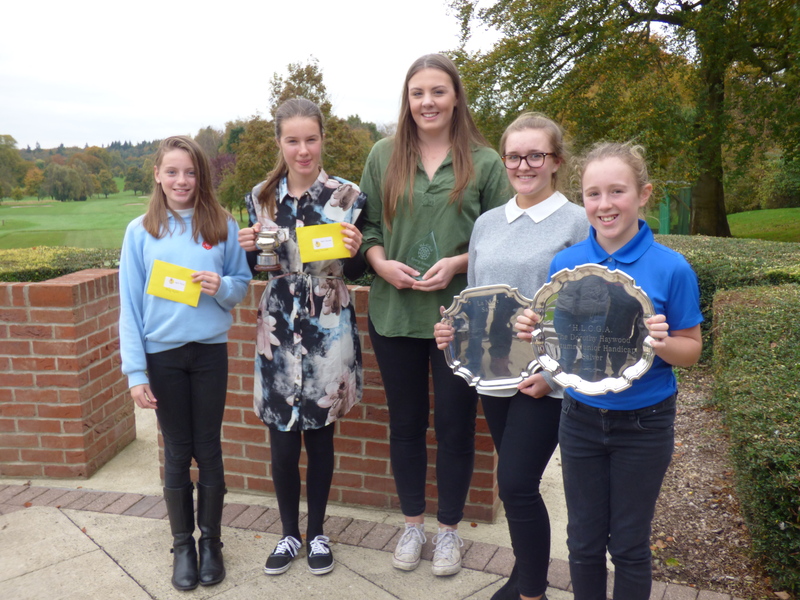 Gemma was closely followed by Emily Curwood (Rowlands Castle) in 2nd place and Jenny Myers in 3rd (Alresford) who both had 42 points. This year’s Kerry Smith award was presented to Katy Mackworth-Praed for her achievements and commitment to golf this year. 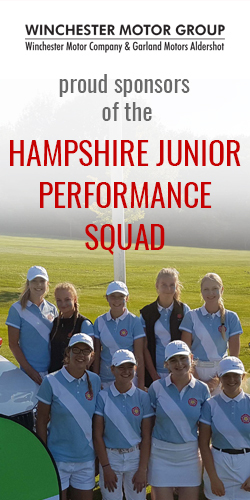 This was Katy’s last event as Hampshire Girls’ Junior Captain and we found out today that she will hand over the reins to fellow North Hants member Georgina Carter. Many thanks to Katy for all her great work and good luck to Georgina in her capacity as Junior Captain in 2017. Congratulations to all the girls that took part and a big thank you to Carrie O’Herlihy for organising the event for the fourth consecutive year. At the end of the day the junior girls and County Captain, Jane Scott, presented Elke with a gift to thank her for doing such a fantastic job during the last three years in her role as County Junior Organiser.